The fast rising contemporary reggae artiste Keznamdi has been blazing a trail across the musical landscape with thought provoking lyrics woven together to form infectious melodies and has now heralded his arrival to the reggae scene by releasing his first EP, appropriately dubbed, Bridging the Gap. 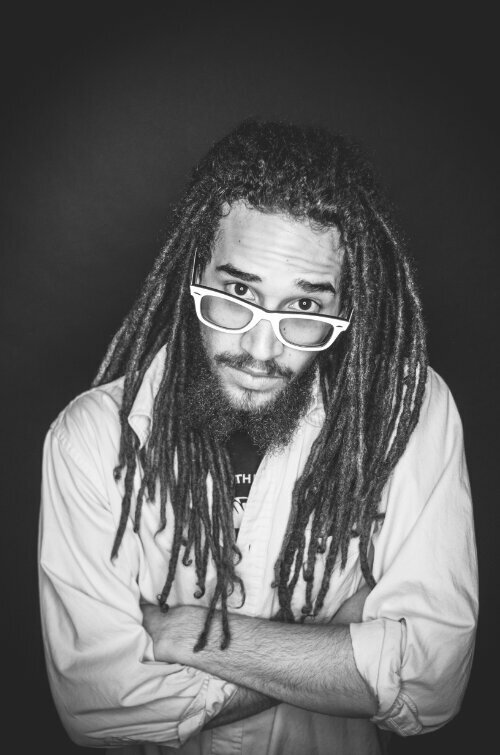 Keznamdi, who has been winning fans on both sides of the Atlantic, sees Bridging the Gap as a good chronicle of his musical and spiritually development through reggae: “Bridging the Gap means bridging all generations, all nations, and all cultures together through the music. Music is my life and the issues on the EP are topics that affect me to varying levels”. Through Bridging the Gap , Keznamdi focuses on issues that appeal to all classes, races and age groups. The EP is sewn together with social commentary and thoughts on man’s interaction with each other with a fair amount of questions and answers on male and female relationships. On one of the more poignant lines in Darkness he says: “When you think no one sees, someone is watching you”. This track also features up and coming contemporary reggae hard hitter Kabaka Pyramid, who also fires off his own salvos: “Stealing from the poor, well that’s a no no, big salary but you still a stoop low” he chides. Keznamdi is diverse on Bridging the Gap; appealing to the females with Is this Love where he says: “Elementary love from way back then, lost you once now I called you again and I’m so blessed with this I say … me an you together make the perfect team so mek wi live innah wi owna housing scheme”. Also featured on Bridging the Gap is another exciting newcomer to the higher heights of Reggae Music, Chronixx, who Keznamdi teams up with on My Love For You to create one of the leading tracks on the EP. Chronixx is at home on the track, belting an addictive chorus and a verse that compliments the rough edge voice of Keznamdi perfectly. Keznamdi for his part does not fail to satisfy and steps up by giving another few bars of complementary lyrics that make the song whole and the EP complete. The 21 year old Reggae lyricist is happy with the reception of Bridging the Gap. Within 24 hours of the EP’s release, it was the #5 Reggae album on iTunes and 2 weeks later was the Hot Shot debut on Billboard’s Reggae Charts at #10. “The EP has being doing well. It is a good feeling that the fans have been accepting my kind of music and I use that strength from them to be motivated to continue pushing good reggae music. This EP features the topics and concerns I have and also some of the best up-coming artistes on today’s reggae scene. Chronixx, Kabaka Pyramid and Calico made it worth the while and the fans approve”, Keznamdi beamed. Keznamdi’s Bridging the Gap is currently available on iTunes and other reputable online portals.